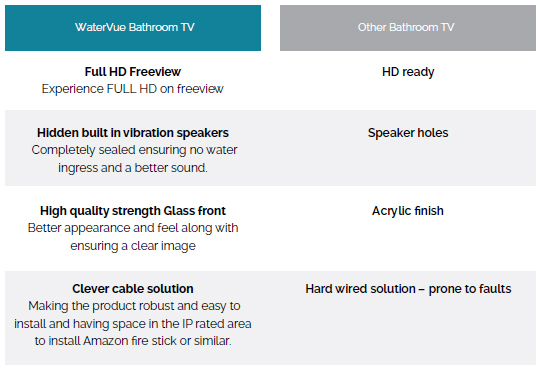 With a fully treated glass front (not an acrylic front) and mist free technology, you will never need ot wipe the glass whilst watching your favourite programs. 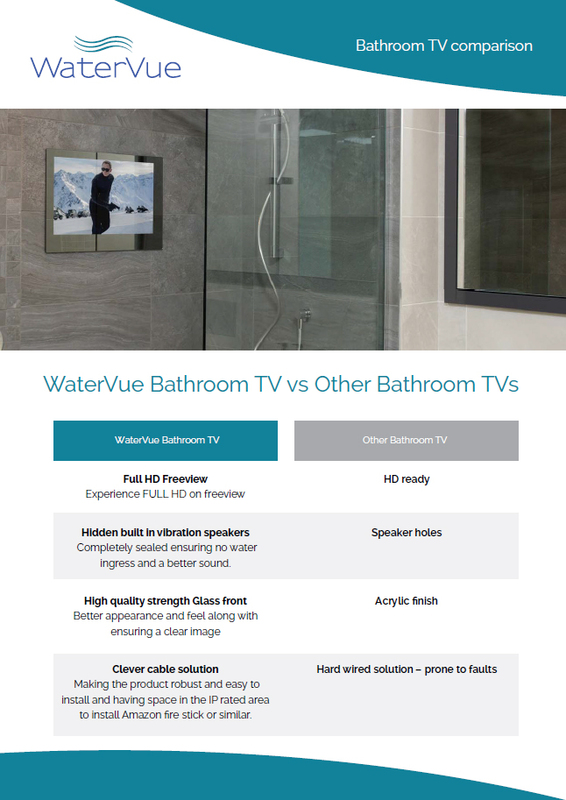 Available in a black, white or a gorgeous mirror finish, our range of 24 inch televisions compliment a wide range of bathroom interior designs. 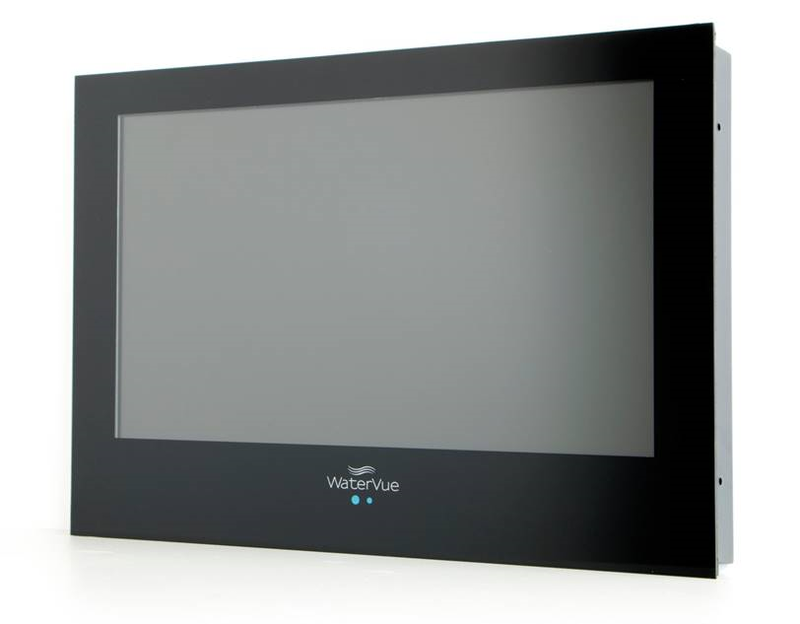 Order your WaterVue TV now and get free shipping in the UK.